has designed and printed these gorgeous t-shirts. 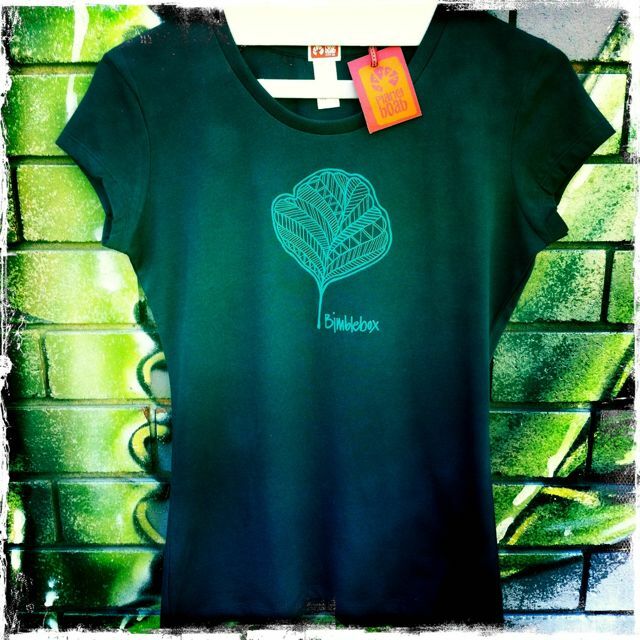 Profits from sales go towards Bimblebox – the touring exhibition of artwork about the Bimblebox Nature Refuge. 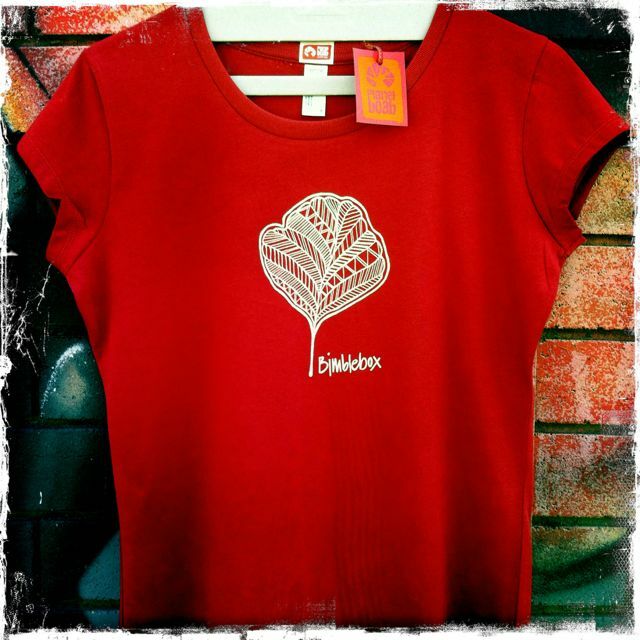 Wear one to support the art project and to raise awareness of the Bimblebox Nature Refuge. Or just wear one because they look great! The leaf design is taken from the Bimblebox Leaf, Eucalyptus Populnea. These glossy, rounded, dark green leaves can grow quite large and form an array of different interesting shapes. As they fall from the tree and age large rounded red and pink pools of colour grow across the leaf and eventually fade as the old leaves are gradually reabsorbed into the soil. ← Why does Australia have such a high rate of biodiversity loss?